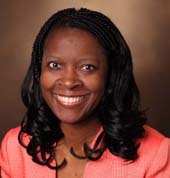 Vanderbilt University Medical Center (VUMC) has established a Sarcoidosis Center of Excellence under the direction of Wonder Drake, M.D., associate professor of Medicine and Pathology, Microbiology and Immunology. Sarcoidosis is a chronic inflammatory disease that strikes many organ systems in the body. VUMC has conducted sarcoidosis research and offered clinical care to sarcoidosis patients for many years, but Drake said the new center is set to allow Vanderbilt to move forward on both patient care and research. “Sarcoidosis incidence, morbidity and mortality continue to rise worldwide, without a concomitant increase in innovative therapeutics,” Drake said. “A major hindrance to enhanced understanding of sarcoidosis pathogenesis that would facilitate the identification of innovative therapeutics is the lack of an animal model. This center will provide Vanderbilt with an opportunity to be a leader in developing this animal model,” she said. More than two years ago, Drake and Gordon Bernard, M.D., Excutive Vice President for Research, received National Institutes of Health funding for a Phase II multi-center trial to investigate whether an antimycobacterial therapy approach might be useful in treating chronic pulmonary sarcoidosis, the lung-based form of the disease. Pulmonary sarcoidosis is generally more serious than the skin-based variety. That trial is ongoing. In addition to the research emphasis provided by the new center, there will also be a weekly clinic dedicated to treating patients. “The number of sarcoidosis patients seen at Vanderbilt continues to climb annually, with a diversity of clinical needs,” Drake said. “I get requests weekly from local, national and international patients requesting to be seen. A dedicated clinic for sarcoidosis patients provides yet another opportunity to further enhance the stellar care already present at Vanderbilt. “This will create a clinical environment in which it’s easier for sarcoidosis patients to be seen by a team of providers,” she said.